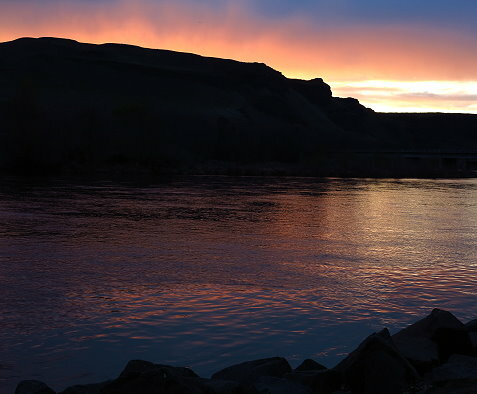 Wednesday, April 1 and Thursday April 2: After leaving Palouse Falls, we travel to Pasco, Washington, to spend the night with good friends. They provide a delicious dinner, a fun outing to a local brewery, and a comfortable bed for the night. 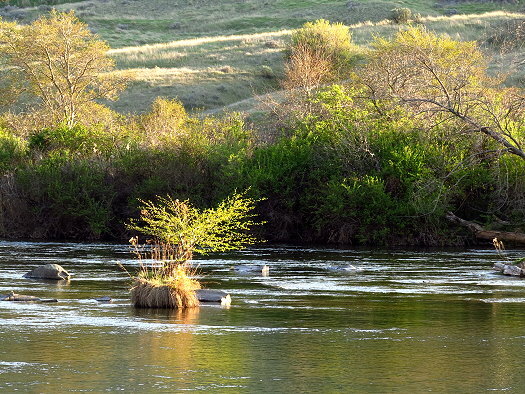 After a tasty breakfast the next morning, we say our good-bye’s before heading south to Oregon and then west on I 84 along the Columbia River to Deschutes Oregon State Park, which is located on the bank of the Deschutes River at its confluence with the mighty Columbia. As we travel I notice how rugged and barren the landscape is on both sides of the river – not very hospitable at all, it seems to me. When we arrive at the park, I am pleased to see that it is a huge lovely lawn with a variety of handsome trees. 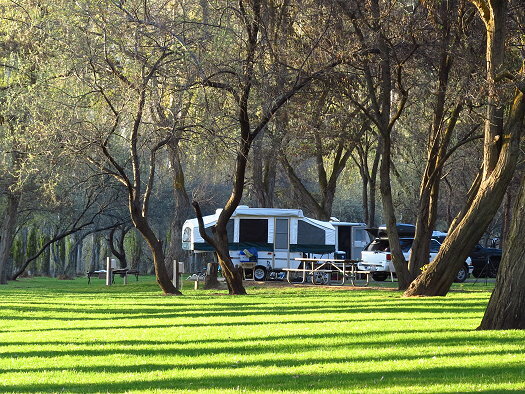 There are not many campers here this time of year, especially as we are arriving mid-week. We choose a spot on the corner of a loop near the river. Initial set-up is easy, as the parking spot is paved and level. Once the Pony is set up, I realize there is more mildew than what I could see when we did the modified set-up at Palouse Falls. I tackle the inside with cleaning products from Melaleuca until the Pony smells clean, though I can still see some discoloration from the mildew. It takes quite awhile longer to get things in place because of this extra cleaning, but once that is done we have a good dinner and relax a bit before heading to bed. Friday April 3: I didn’t sleep well, as the traffic noise from I 84 is non-stop and trains rumble by every couple of hours. 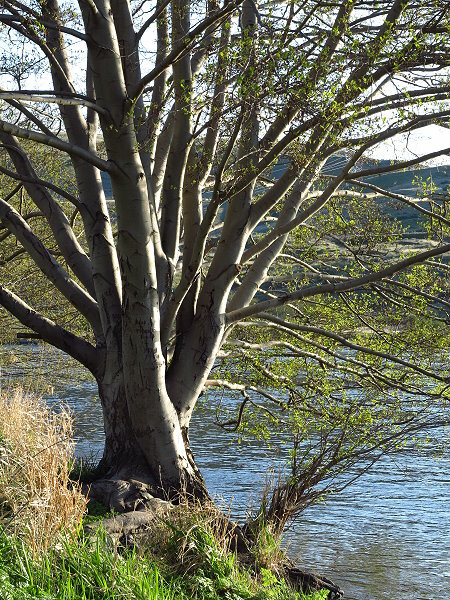 On the plus side of things, this is an attractive park, there are flush toilets and showers, the Deschutes River is near at hand, and the trees are quite wonderful. 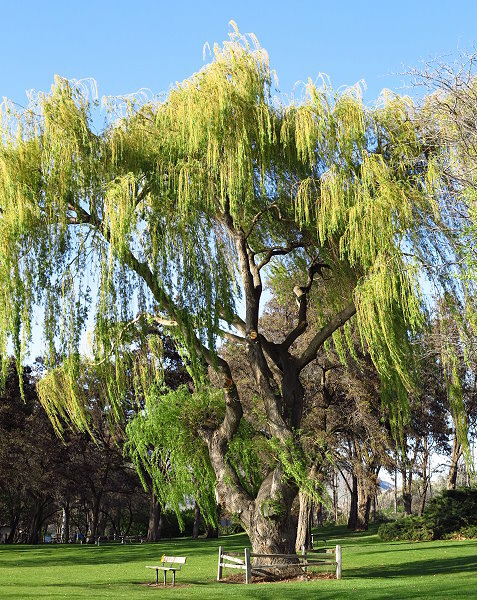 A row of Lombardy poplars line the river bank, a huge golden willow stands tall and solid in the center of the park grounds, and there are other trees the likes of which I have never seen. We are quite comfortable here and, except for the traffic and trains, which are easy to ignore in the daytime, this is a lovely peaceful place to spend a few days. 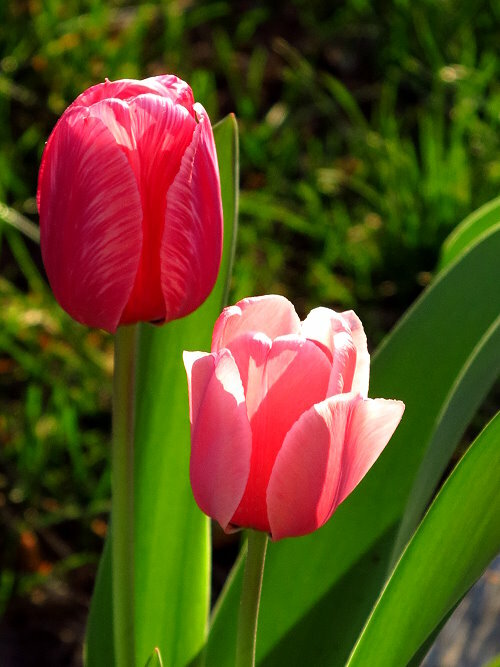 Saturday April 4: After breakfast I make a picnic and then we head west to Hood River, which we find to be an attractive little town, and then south on state highway 35 toward Mount Hood. Even though the road begins to climb right away, we see many orchards in bloom for several miles. 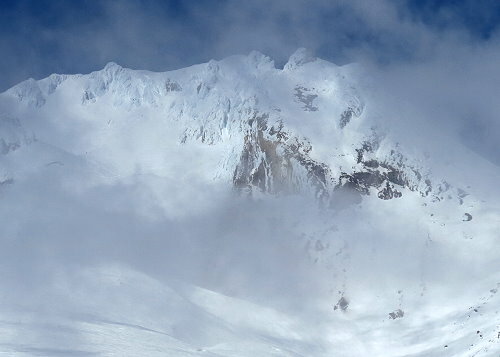 As we get nearer Mount Hood, the landscape becomes more forested, obscuring the view of the great mountain. 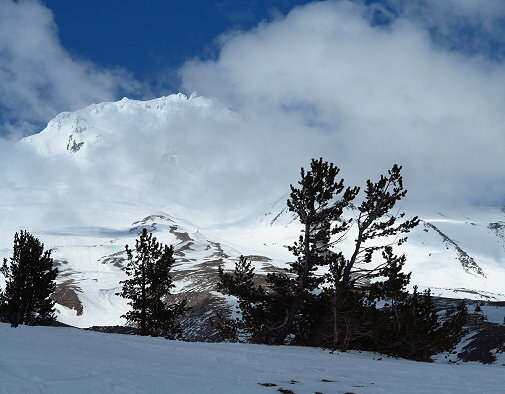 We take the road up to Timberline Lodge, as Clifford was here as a teenager and is interested in seeing it again after the passage of so many years. For me, it is the first time I have been in the area and I am thrilled to see Mount Hood up close. After we have our picnic sitting in the Blazer at Government Camp at the base of the mountain, being too chilly to sit outside, we head back down the road and arrive at our campsite in the late afternoon. 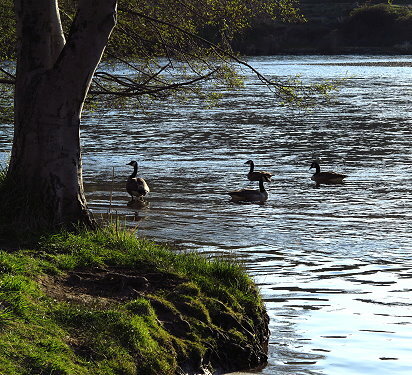 I take a few more photos of the river before going inside to make dinner, followed by the evening activities of studying (Clifford) and looking at the day’s photos (me). We have decided to stay another couple of days, as we would like to learn more about the history of the region before we travel on. 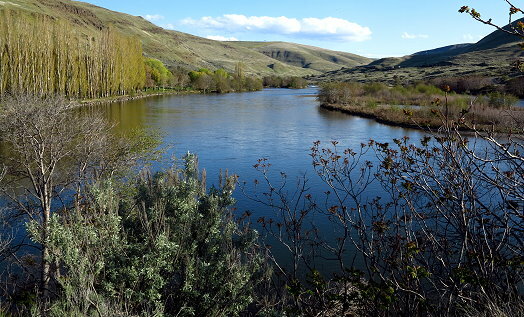 This area is significant both in terms of the emigrants on the Oregon Trail in the mid 1800’s as well as the Lewis and Clark Expedition before them in the early 1800’s. 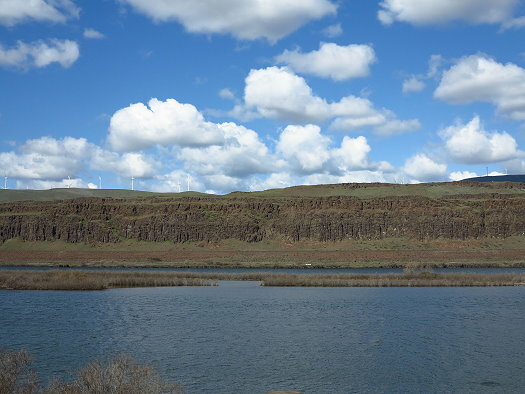 We plan to catch up on emails and needed downloads for research tomorrow while we have cell service (our means of accessing the internet), and visit the Discovery Center outside of The Dalles, just a few miles to the west, on Monday. For tonight, I will listen to the river and try to ignore the traffic and the trains as I sleep. We were there a few months later in July. I really enjoyed the area. Not so much snow on Mt. Hood though. 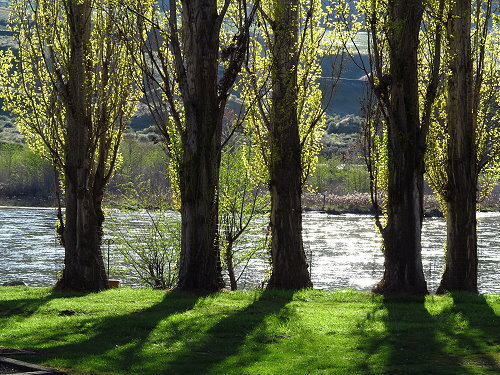 We camped on the Columbia River in Memaloose State Park, very near to the city of Hood River. Just loved our time there.